The guitar, and its distant kin, the piano, are self-contained orchestras. Few other instruments possess their range in dynamics and melodic potential. If you’re going to master either, it helps to be keenly aware of that. It also doesn’t hurt to have a universal sphere of interests. 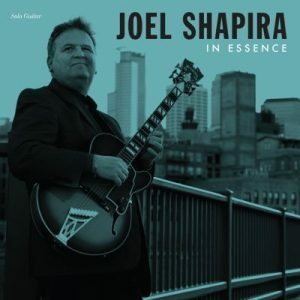 I can’t think of too many guitar players, or people for that matter, whose passions cut as wide a swath as those of Minnesota’s own Joel Shapira. Musically, he’s an unmatched trove of diversity. Through the modern grapevine of social media I’ve learned that Joel is as well-versed in classical music as he is jazz. He can also dig into classic rock, blues, folk and reference punk with the best of them. And passing these traits on to others is also an obvious love. “In Essence,” as it may suggest, is a distilled affair. Joel stands alone and unfettered with his six-string soulmate. He has made some flawless choices of pieces from the jazz canon. Let’s be clear, these are not shopworn chestnuts. They are adroit arrangements and improvisations on masterpieces from a man not drawn to the mundane. Google Joel and you will see a fair amount of acoustic tidbits, but he hasn’t recorded much that way in the past. “Essence” casts him in that light and watted up, too. Vocalese tributes to instrumental lions are as common in jazz as airplane noise in South Minneapolis, and about as welcome to this Bancroft resident. Many of them are ill-conceived and even more ham-fisted in their execution. There’s a reason Bird didn’t seek out lyrics in most of his work and many of these affairs only reinforce that practice. 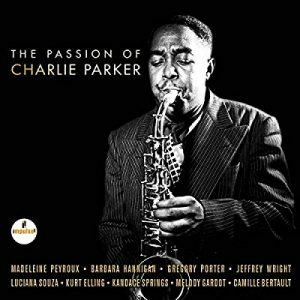 But “The Passion Of Charlie Parker” is batting a strong 750, which is saying a lot. It was produced by Joni Mitchell’s ex-partner in life and music, Larry Klein. This accounts for the presence of a lot of the more polished and poppier fare. In most cases the performance outweigh the lyrical stabs, but that only means it’s pretty listenable. Kurt Elling and Gregory Porter provide the jazz heft. While Melody Gardot and Kandace Springs give it a sincerity and soul often absent in the massive amount of vocal knock-offs. And for an added local connection: listen for keyboard work from former Twin Citian Craig Taborn. Kevin O’Connor hosts an hour of new releases Fridays at noon on This Just In. He periodically updates us on noteworthy album releases here and on Jazz Police.